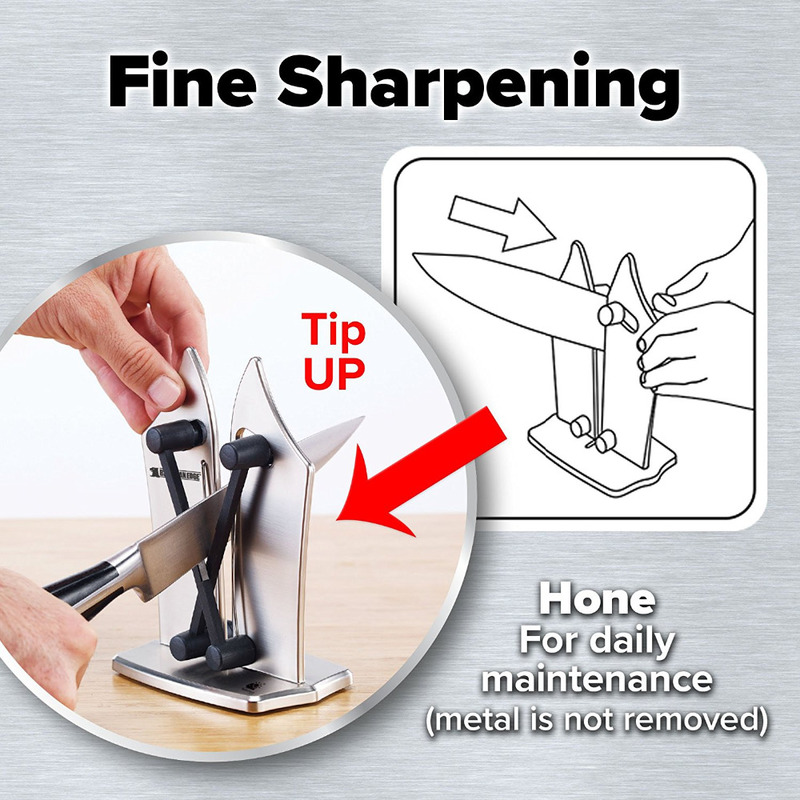 This Kitchen Knife Magic Sharpener is perfect for anyone who loves to cook! This Sharpener gives your knives a makeover and restores them to a like new condition! 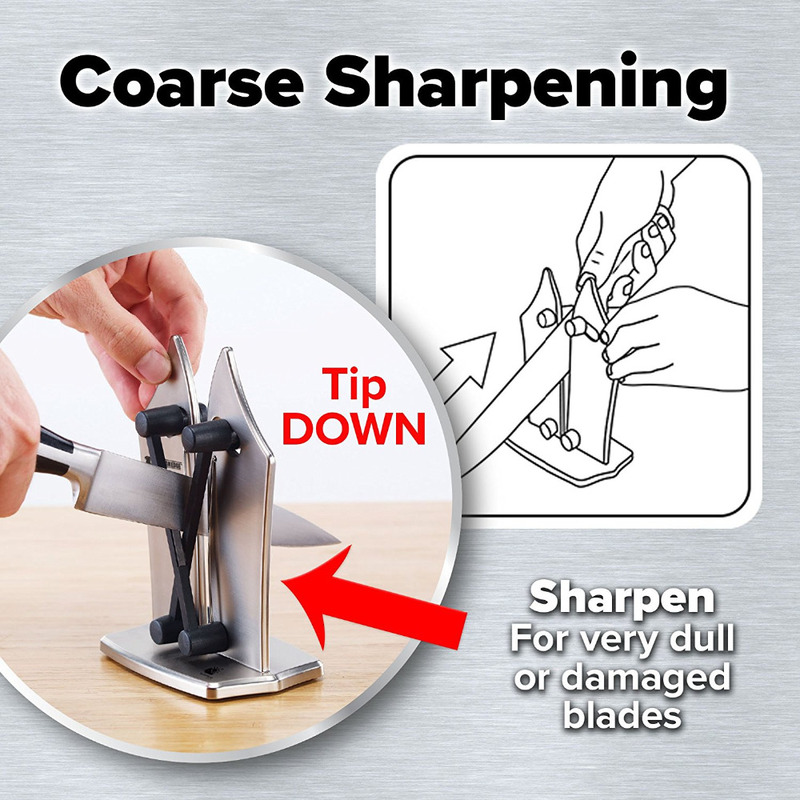 This tool goes beyond just sharpening. 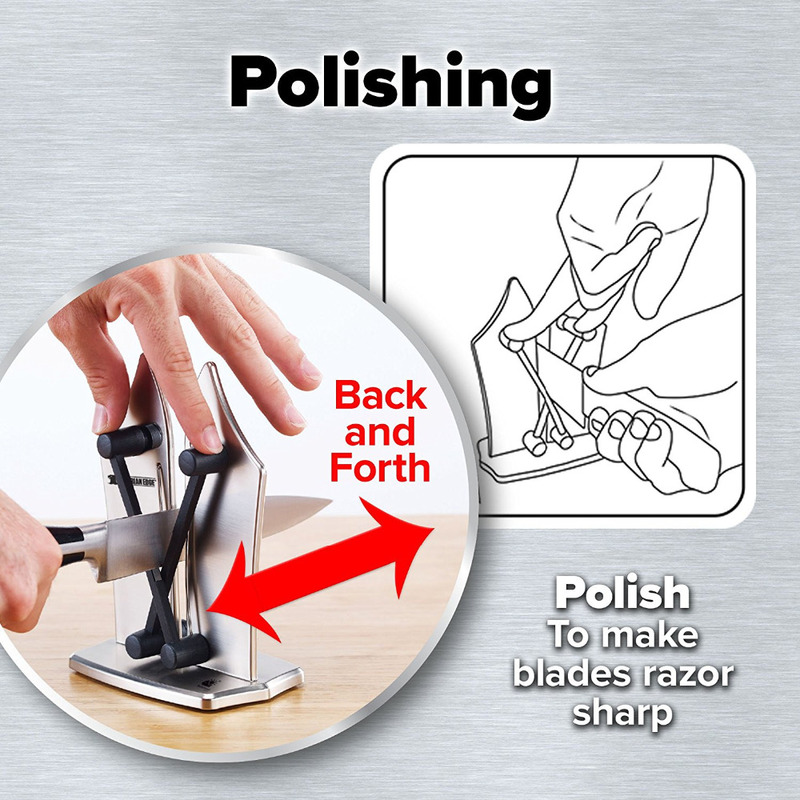 The Kitchen Knife Sharpener also polishes and refines your blade! Knives are expensive, save yourself some money and pick up your Kitchen Knife Sharpener today! Sharpen, Hone and Polish your Kitchen Knives! Sharpens Dull Knives in Seconds! UPDATE:Due to the huge increase in social media attention, we're running extremely low on these, so hurry and order before it's all gone.